Be the first to share your favorite memory, photo or story of Doren. This memorial page is dedicated for family, friends and future generations to celebrate the life of their loved one. 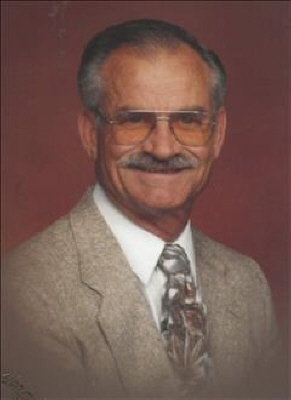 Doren Lee Dodrill, 84, of Altus passed away at Jackson County Memorial Hospital on December 2nd, 2018. He was born May 13,1934 in Tryon, Oklahoma to Samuel and Nona Mae (Dobbs). Doren joined the Air Force in 1952 and served for twenty six years. Following his military career he joined the United States Postal Service in Fairfield, California and retired with twenty years of civil service. He married Frances (Parker) Dodrill on March 13, 1953 in Sacramento, California. Of this marriage they had four daughters; Denise, Nancy, Patricia, and Susan. Doren enjoyed working in the yard, collecting coins, entertaining friends and family. He was very active in the Nazarene Church while living in California, and once he and his wife Frances moved to Altus, they were active in Martha Road Baptist Church. Family was a big part of his life and enjoyed spending time with his grand kids and great grand kids. Doren is preceded in death by his parents, three brothers and four sisters. Doren is survived by his wife, Frances Dodrill, of the home; Daughters: Denise and husband, Don Willock of Altus, Nancy and husband Wayne Savory of Sallisaw, Oklahoma, Patricia and husband Malakai King of Tennessee, Susan and husband Rod Peters of California. One sister: Kitty and Ken Goodnough of California. Sixteen grandchildren: Sharon Hawkins, Shaun Piontek, Faith Romero, Don Willock Jr. Daniel Willock, Keli Martin, Marvin Savory, Jason Dodrill, Jennifer Eddington, Edward Hansen, Karen Farrell, Jillian Wilson, Anthony Peters, Andrew Peters, Aaron Peters, Alisia Peters. Thirty-Three great-grandchildren. To send flowers or a remembrance gift to the family of Doren Lee Dodrill, please visit our Tribute Store. "Email Address" would like to share the life celebration of Doren Lee Dodrill. Click on the "link" to go to share a favorite memory or leave a condolence message for the family.